My Jewish Observance, Colors, and the Weird! Last month, I started an Ask Chaviva Anything! series. I had two installations, and it's time for a third! (Check out those posts here.) Are you ready for more Q&A? If you have a question to ask, just click here! This is a good question. For the longest time (read: forever) it was red. At some point, it transitioned to green, and about six months ago, I realized that I owned a lot of purple. When I moved, I got purple sheets, and a purple lampshade. I have a purple purse and purple shoes. So, I guess right now, it would be purple. Do you ever question your level of observance? Do you ever reconsider it or think about being less traditionally observant? Do any aspects of progressive, egalitarian Judaism appeal to you? Honestly? No. As I discussed when I was moving to Denver, the thoughts crossed my mind, but they weren't real thoughts. They were what-ifs, and I wasn't committed to those considerations. Once you go kosher, I can't imagine what it's like to not be kosher. The guilt? The regret? And, of course, the disappointment. Nothing is ever as good as you remember it. When it comes to being Shomer Shabbat, I couldn't fathom life without it. Even if I -- heaven forbid -- went off the derech, Shabbat would be something I always would hold on to. I honestly have no idea how I got by without a day to shut down, refresh, and recuperate. As for progressive, egalitarian Judaism, I have to say that it's never something that's appealed to me. I guess I've discovered a way to be a woman and Orthodox without the two contradicting each other, let alone resulting in a feeling that I'm not as equal, respected, or responsible as my male counterparts. I had my days of aliyot when I was Reform, and it always felt awkward. I never understood the appeal of the kippah or tefillin, but I fully support those who, as women, feel like those observances are something that is importnat to them. I have found my own way to feel valuable, important, and necessary in the Jewish world, without those aspects of egalitarianism. Also: I love the mechitzah too much to give it up! What's the weirdest thing you've ever been asked on your blog? Good question. I haven't been asked so many "weird" things as I have received extraordinary emails from extraordinary people with amazing stories and queries. If only I could share them all with you guys! So instead of "weird" questions, I'm going to give you some of the weird search queries that land people on my blog! what is a jew called who can't prove their bloodline? Okay, that's enough for now. Stay tuned for more Q&A with Ask Chaviva Anything! My last post created a huge ruckus in my community -- such is the drama of being a very public blogger in a new community. I don't blog anonymously, and I don't have any misconceptions about my Twitter feed and blog being accessible by anyone, anywhere. That's part of what I love about what I write, it's open access. So the blog post was commented on by a community member, then it made it to one rabbi, then another, then community members and so on. The offense taken, I think, regarded the tone of the blog post as well as the misunderstanding that I was calling out or bashing the Denver community in particular, which I wasn't. Well, you don't have to go through it! "It is not your responsibility to finish the work [of perfecting the world], but you are not free to desist from it either" (Pirkei Avot 2:16). said one thing to me: you must speak now, it is your duty, it is your mission, it is your work. I get emails daily from people in-process, done with the process, leaving the process, and so on who have stories about acceptance, the process, and more that would make most people's skin crawl. An oft-said thing to me by born Jews is, "If I hadn't been born Jewish, I don't know if I would choose it." Because of the hoops you must jump through? The pressure? The issues of acceptance? The costs? The oppression? The bullying by other converts? My passion and fervor for this issue of extortion in conversion -- no matter what branch, no matter where you are geographically -- is my work. It's my responsibility when it comes to repairing the Jewish world. Someone has to stand up, someone has to say something, to do something. My biggest beef with the Denver process is the cost. Plain and simple. Why fly in a rabbi from Queens and make the candidates foot that bill? Why not use a more local rabbi? Classes are necessary for studying and conversion to Orthodox Judaism, and I'll be honest -- I'm more than happy to devote two to three hours a week to teaching and training converts in the basics of Judaism and conversion; after all, I've been there, I've done that, and I can lay things out from a perspective of the convert and what you need to know before the formal process. I also think I can give something a book-learning class can't -- personal perspective, stories, passion, fervor, dedication, devotion. The heart of Judaism, not just the facts and the "you must be able to say and do this when you convert." But I'm not a rabbi. Does that change things? Can an Orthodox convert to Judaism properly train converts? I think so, yes. But when one system has a monopoly on the process, saying "you must do x, y, z, and you must do it with this person," that does not provide options, it provides a monopoly. Because I know, at the very depths of my soul, what Orthodox converts go through before, during, and after their conversions, I know that this is my place. I counsel, I help, I calm the fears of those who have no one else to turn to, and for that, I feel like HaShem has granted me great patience, understanding, and love. Converts are coming home. They're bringing their neshamot home, finally. They should be overwhelmed by the weight of the mitzvot, not the costs to let their neshamot onto the front stoop of Judaism. NOTE BEFORE READING: This is not a post bashing Denver. In fact, if you go back and read my past posts, I love the community here and it has been nothing short of amazing. This is a post about a specific topic: conversion to Judaism. This is not something that is isolated to Denver, it is a problem everywhere. My point is to express how instead of the weight of mitzvot making converts really consider their conversion, the weight of money pushes them away and out of the process, into Conservative or Reform conversions. This is the scenario -- here in Denver, anyway. Overall? You're looking to pay probably well over $2,000 to convert to Orthodox Judaism in Denver, Colorado -- and that's before you've even considered buying new dishes (Dairy, Meat, Passover, Parve) and all your other kitchen items that can't be kashered (probably $4,000 or so) and all those tzniut (modest) clothes, moved into the Orthodox community, and so on. Can you imagine it? Dropping $8,000 or more just to be Jewish? Some of you were lucky enough to be born into it. Not a single penny was spent for you to be Jewish. And did I mention that all that studying is done to be converted on a private beth din with some local rabbis (not Rabbinical Council of America-affiliated) and a rabbi flown in from Queens? You have no institutional backing, you just dropped $8,000, and there you are. Jewish in Denver. Had I been living here when I decided to convert, when I was freshly starting graduate school and had zero cash in-pocket, I wouldn't have been able to do it. Even today, single and living on my own and struggling to find jobs that pay enough to pay the rent, I wouldn't be able to afford it. It's a racket. An unfair, unconcerned-about-the-convert racket. And I'm taking a stand, because I can't, in good conscience, stand by and let anyone convert under the current process. At any given time, there are supposedly 10-20 people in-process. Those people should have options -- an RCA Beth Din, or the current, in-place private beth din that wants them to drop thousands just to be Jewish. I've heard more excuses than I can really stand at this point -- bad blood in past bad conversions, a Christian couple that infiltrated the community, not enough RCA rabbis (which is no longer true), and so on. It's not okay for some guy to have a monopoly on conversions, it's not okay to not have institutional approval, it's not okay to charge $2,000 for a conversion, and it's not okay that people aren't willing to take a stand and make a change. So this is my mission: I'm going to reform and make more reliable, more attainable, and more stable the process of conversion to Orthodox Judaism in Denver, Colorado. Come hell or high snowfall. I'm going to do it. Note: When I was converting, I studied every week with my rabbi in West Hartford (I commuted about 45 minutes to do this study) and spent all of the Shabbatot and Chagim there, too. Ultimately, I ended up paying $250 to the RCA Beth Din for mikvah and beth din fees, and I donated $180 to the rabbi's discretionary fund -- never once was I asked to give my rabbi a paycheck. Also, if you want to read an article from September 2010 about all the "good" the current guy running things is doing, the article is here. He says that the fee "needn't be expensive." Seriously? I'm enraged. So, I'm the Ultimate Answer, Right? The world is expected to hit SEVEN BILLION in the next few weeks, and I'm kind of scared and horrified. Considering that in 1900 there was only 1.6 Billion people, we've done some insane growing. Is it good? Is it bad? I don't know. But I do know that this BBC "What's Your Number?" thing is pretty cool. Call me a conspiracy theorist, but if you add up all the digits of what number person alive I am on earth, it adds up to 42, which, according to The Hitchhiker's Guide to the Galaxy, is the Ultimate Answer to the Ultimate Question of Life. So that makes me the answer, right? Even more scary? These facts. What's next? The global population will continue to increase during your lifetime and beyond, reaching 10 billion by 2083. However, the rate of growth is expected to slow. Little of the current growth is happening in developed countries like yours. Longer lives: In your area, women can expect to have one or two children. People are also living longer. This means people of working age like you will be supporting increasing numbers of older people. By 2050, there will be just 2.2 working-age people supporting every person 65 or older. In Europe, this will drop to two. Did you know? By mid-century, the world's urban population is likely to be the same size as the global population was in 2004. Should this make me not want to have babies? Or to contribute to world growth so that we'll adopt some other planets and stop killing this one? It kind of also makes me want to do more to be green, recycle, and stop spending money. We'll see if any of that happens. The first "news" article I ever wrote was way back in college when I worked as a copy editor and copy desk chief at The Daily Nebraskan -- the official newspaper of the University of Nebraska-Lincoln and proud owner of many Student Pulitzer Prizes, not to mention a later deadline than the actual local paper (making it an awesome place to work for breaking news). 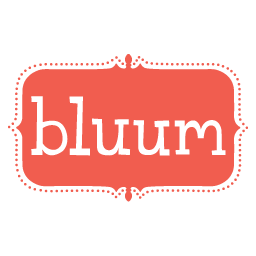 You see, I wanted the Arts and Entertainment editor to write up a piece on a Slam Poetry competition in Omaha, but he just didn't have the manpower. "If you want it in the paper, write it yourself," he said. So I did, and I never wrote another. Too much pressure, a chance of being edited, inability to write my own headline. 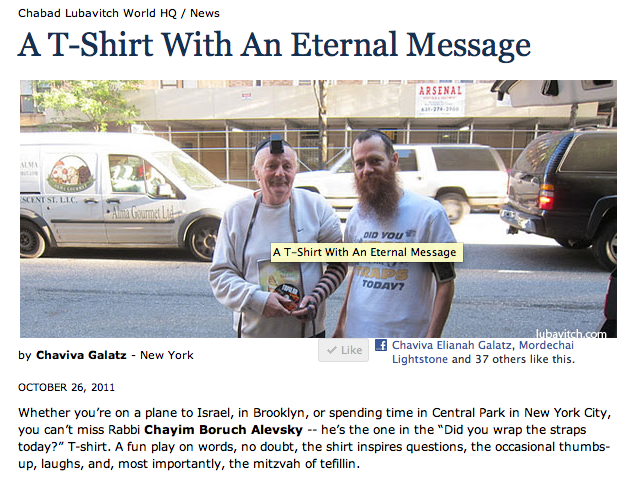 But my good friend @Mottel pointed someone in my direction and thus comes the second, long-awaited installment in my "news" reporting career, this time for Lubavitch.com. And if you really want to read my first "news" story ever published, it's here. Note: I wrote a lot of satire pieces for the Daily Halfasskan, which was our April 1 joke issue. For some reason writing fake, hilarious stories carried a lot less pressure than "real" news. Preheat oven to 400 F. Put pears and butternut squash into a roasting dish and drizzle with olive oil. Roast in the oven for 20 minutes until the squash becomes slightly soft and starts to brown. Meanwhile, in a good-sized saucepan, heat olive oil on medium heat and cook the onions until slightly translucent, about 4-5 minutes. Throw on some salt and pepper, and then add the broth and pear-squash mix. Simmer the goodness for about 15 minutes, then blend with an immersion blender. Top with some plain yogurt (I used Green Valley's Plain Lactose-Free Yogurt) and swirl for looks, then sprinkle on some nutmeg and devour! Since I'm gluten-free, the only thing I can really imagine pairing with this is a good Hard Cider, like Woodchuck, which is both kosher and naturally gluten free! Recipe adapted from Clean Eating's newest magazine issue! It's Time for Your Opinion: Conversion for Marriage. A friend is letting me post this here, so be kind and focused with your responses. I'll be writing my own, but I want to hear what you folks have to say first! I live in a community with a lot of converts, which is nice in that there are a lot of people who I share a common experience with and who I can make feel more welcome and comfortable by saying "hey I did that too!" but it's also not-so-nice because of some of the sentiments in the community--being "one of the rabbi's converts," etc. Recently some of my friends, who are single, have been complaining about the number of people in our community who got engaged/married right after their conversions were finalized. (The rabbi openly states he will convert for marriage, provided the prospective convert prove they would keep halakha even if the relationship ended.) A male friend says that he, as an ffb, feels cheated for doing what he was raised to do--only date Jewish girls--because people in the community date "out" and their girlfriends convert. A female friend, also born Jewish, feels like her odds to get a Jewish man are lower if there's a culture wherein it's essentially OK to date non-Jews who will convert. I say this not to call out these converts--it's not my business and I can't read their hearts and minds--but because I'm frustrated with hearing my good friends saying "there's a problem with converts in this shul, no offense." While I think they have valid reasons for at least feeling upset (whether or not I agree with them), the "no offense" part hits me the hardest. Has anyone had similar experiences, either with this issue in particular, or simply with others criticizing others' conversions to you? Denver, I Sing of Thee! There is so much about this town that blows my mind, and it makes me remember my kind, patient, and thankful Nebraska roots. People here are unbelievably polite, friendly, and will talk to you about just about anything, but not in that creepy big-city way. No, people here are normal. Really normal. Laid-back normal, and I love it. As I have gotten to know the Jewish community here, I've learned how tight-knit and proud they are to live in Denver. Yes, we might only have a deli, a pizza place, and a bakery, but it's all good. They make do. In fact, there are FroYo places and even an ice cream place that are kosher. And for me, it's beyond easy to find all of my favorite gluten-free products. Here, I want for nothing. I'm very tossed about my hair-covering, but I'm growing it out right now and it's growing rapidly, so hopefully, within no time, I'll have hair with which to re-do. I have two jobs -- I'm the Social Media Manager for Jewster.com, an awesome Jewish dating site that you can read about (and comment please) here, as well as work for two local Jewish agencies. So I have parnassah. I've found my favorite coffee shops, figured out where the Target, Lane Bryant, Container Store, Bed Bath & Beyond are, and of course I've located the library (which is a quick walk from my apartment). My mirpeset (balcony) is still empty of lawn furniture, but with snow coming on Wednesday, I think I'll survive. Did I mention that even when it's cold here it's still hot? The sun is quite close. When I get up and leave my apartment each day (after all, who can work at home), I see the mountains -- the beautiful mountains, often snow-capped. I say to no one in particular, "Eizeh yofi!" And imagine HaShem laying down a large blanket over the ridges and bumps of land because that is what I conjure up. I'm happy, excited, and feeling at home for the first time in a long time. Stay tuned for a video of the new digs. I can't help but let you all in on my new life! Today is very bittersweet for me. I was fully of tears of joy earlier today, unable to sleep, being so happy that Gilad Shalit is back with his family after five years and four months in the arms of evil. But I just found out some news that has me almost in a different kind of tears, tears of sadness. Once upon a time, back in 2006, before Gilad Shalit had even a hinkling that his life was in danger, I was sitting in the University of Nebraska-Lincoln Spring semester classroom of Gerald Shapiro, an English professor, taking his Jewish-American Fiction course. It was my last class at UNL, and I was so eager to immerse myself in the life and times of Jews in America writing about their lives. The syllabus was amazing -- Maus I and II, works by Cynthia Ozick, Tova Mirvis, Saul Bellow, Jonathan Safran Foer, and others. I loved every minute of that class, especially because we got to watch movies along with reading some amazing texts that enlightened me on the American-Jewish experience. At that time, during that semester, I was closing up my learning for my Reform conversion, and just before the semester closed, I became a Jew under Reform auspices. "Jewishness, Jewish culture, is a matter of putting pen to paper – you’ve got that down, too. You have what my mother would have called a Yiddishe kupf – a Jewish head. You see the subtleties, the nuances in things. You see the humor that’s enveloped in tragedy, and the tears hidden inside the laughter." I even blogged about it back in January. This man touched my life, and I don't know that he knew that. And that makes me so sad. He believed in me, as a writer, as a Jew. He believed in me. "It's very, very good to hear from you and I hope you'll keep me posted as to your comings and goings." And I never emailed him again. I feel bad about that. I followed the suggestions he made for me and wound my way around the world of American-Jewish fiction on my own, but now I'm wondering what else he would have suggested for me. But now, he's gone. Unexpectedly. At the age of 61. He'd been diagnosed with Hodgkins in his 20s, and I never saw or heard him speak about it when I was in his class or through our emails. He mentioned a back surgery once, but that he was doing well, but that was years ago. I feel horrible for not keeping in touch, but it reminds me how fleeting relationships are, even those with mentors and people we respect to guide us. If you a chance, pick up a copy of Bad Jews and Other Stories, and let me know what you think. Common sense -- and math -- say that 1,000 is greater than 1. But we don't live in a world where common sense is the norm. We all do stupid things, ridiculous things, incomprehensible things that we can't explain but that we know, we feel, is right. You can't tell me that anyone -- anyone -- is completely set on the decision of the release of one man for 1,000 killers, terrorists, and murderers being either absolutely right or absolutely wrong. Because common sense can't, and doesn't, make sense when it comes to Gilad Shalit and his more than five years captive by Hamas being traded for a veritable army of people out to return and destroy Israel and all that it stands for. But something about it, something inexplainable, feels absolutely necessary. Maybe that's the Jew in all of us? The Talmud teaches us that when Adam was created, he was the entire population of the world. Adam was peoplehood. We are commanded to view each individual as that same peoplehood and thus that to save one life is as if you have saved the entire world. Perhaps it's too obscure or abstract for us to understand how trading 1,000 criminals to save the life of one Jewish man is as if we have saved the entire world, but I think it can be explained, and not in the abstract. 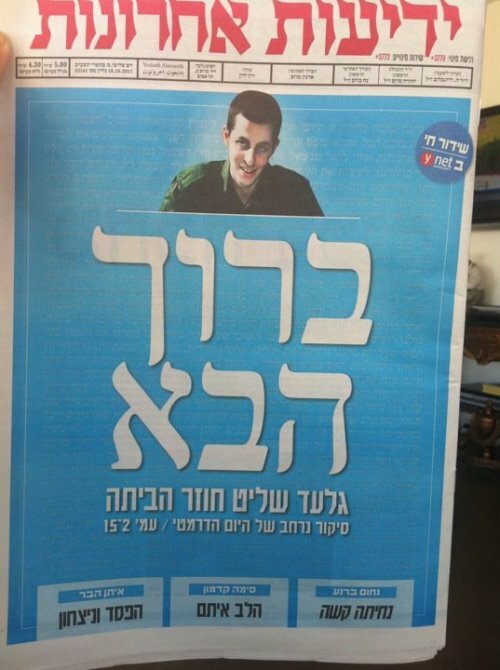 Bringing Gilad Shalit home to his family, to his country, and to his people sends a sign to the world -- the world that hates Israel and Jews, and the world that supports us -- that Israel leaves no man behind, not for anything. A single life is important enough to defend and fight for, that we will give all that we have -- even the possibility of these criminals returning to destroy us -- to save a single soul. I think that is a powerful message, a message that what we are fighting for, what Israel is fighting for, is so much bigger than land or food or independence. Israel, and Jews everywhere, are fighting for humanity. And, I can only hope that someone reminds those released prisoners -- every day, for the rest of their lives -- that had Hamas not had a bargaining chip, a human life with which to make demands, they would not be in Gaza or the West Bank or Egypt or anywhere else but in prison. Hamas couldn't care less about the souls of prisoners in Israel prisons. They just wanted to make Israel suffer, to inflict a nebulous sense of pain that Israel can and will triumph over. The lack of respect for human life should echo in the minds of Palestinians everywhere. So I'm going to stay up, and I'm going to wait to know, for sure, without a doubt, that Gilad Shalit is in Israel, on Israeli land, safe and moving on with his life. His life will never be normal. And for that, I cannot express the grief it brings me. It might not feel right, but it is right. In my heart of hearts, I know that this is right. Whatever comes after, we will handle as a peoplehood. It doesn't make sense, but when it comes to most things Jewish and Israeli, you have to leave your common sense at the door. So many interesting questions keep pouring in, so I'm just going to keep on rolling through them. The variety is amazing, and the thought put into the question is impressive. You guys never cease to amaze me! What do you think of Zionism? Are you a Zionist? What do I think of Zionism? Well, I think that it was/is a powerful movement that was/is necessary for the establishment/maintenance of the State of Israel. Zionism itself was always a political movement meant to secure a national homeland for Jews of all stripes, and that homeland happens to be the biblical and modern Israel. So I think it's awesome, necessary, and without it, I think there would be fewer self-identified Jews in the world because there wouldn't be something binding us all in a physical manner. As for whether I'm a Zionist, that's a good question, and the answer is yes. I think that a lot of the original understandings of Zionism and the reasoning and necessity for a Jewish homeland have been lost throughout the years, and sometimes I wonder if we're in a post-Zionist world, but then I'm reminded daily of the hatred of Jews that still exists and how important a homeland truly is. I do, however, think that sometimes the terminology is abused in order to validate actions by both Jews and the government of Israel. What's you're beef with non Orthodox Jews? My beef? I wasn't aware that I had a beef with non-Orthodox Jews. After all, more of this blog's history is probably devoted to me as a non-Orthodox Jew than an Orthodox Jew. My stance has always been that everyone's on a journey and everyone needs to travel at their own pace. As long as it's up, we're all in a good place. If you want to clarify, add a comment or re-ask your question, and feel free to cite specific instances that gave you the impression I wasn't down with my non-Orthodox folks. What is your definition of Tzniut? I've already received so many great questions for my new Ask Chaviva Anything! series. Here's my response to a few of them, and stay tuned for more! If you want to ask me something, anything, just click here. For you, what's the hardest part of being a convert? That's a really excellent question, for which there are many answers! I think the hardest thing about being a convert is those moments when you feel lost or wandering (which is how I feel right now post-divorce and post-move). The thing about being a born-Jew is that no matter how far you stray, you can always come back -- Once a Jew, Always a Jew. (Okay, let's not talk about Spinoza here.) When you're a convert, you can't stray and come back, because your credibility is shot. As an Orthodox convert, the option to give up kashrut and the mitzvot just isn't an option if I want to stay or be accepted by Israel and Orthodox Jewry. I'm not saying I want to give everything up, but that the pressure to stay on the straight-and-narrow sometimes means that you feel as though you can't spread your wings and fly in ways that you might before converting. As I wrote here, the temptations to fly in either direction -- more religious, less religious -- are strong when you're feeling lost, and staying the derech can be exceedingly hard, but that's part of being Jewish, and that's what I signed up for! Did you get a heter from a reliable rav to uncover your hair? Believe it or not, I answered this in a recent blog post! I didn't name the rabbi, but if you really want to know, shoot me an email. What happened to grad school? Are you going to have to pay back your scholarship? Are you going to go back or are you finished? Currently, I'm on a "Leave of Absence" with the option to return in the Spring. Will I? Probably not. I might see about getting it extended with the option to return in Fall 2012, but I'm still undecided. When I initially started my second and third masters' degrees at NYU, I wanted to be a Hebrew language educator, or at least a trail-blazer to update and revamp the way Hebrew is taught in the United States. I was super stoked to be at NYU after getting my first M.A. at the University of Connecticut -- I'd dreamed of going to NYU since I was in high school. When I moved to the NY area, however, my focus changed over to Social Media and the role it plays in the Jewish nonprofit world and in Jewish day schools. The problem? There isn't much of a curriculum at NYU for such a field, because it's hard to teach Social Media to someone like me who knows and does as much as I do already. Also, it being an experimental field, I'm probably better suited to be teaching than taking the classes. (Man, that sounds snobby, but I was going to take a Social Networking course and the teacher asked me to come speak to her class because of my experience.) So I'm really torn and questioning what the Education and Jewish Studies program can really do for me; I was struggling to find meaning in the program for a while now, and it might just be chocked up to the difficult emotional time I was going through. I don't have to pay back the scholarship, but I know what a hardship it will be for the program and thus this is not a decision I'm making lightly. NYU was my dream, but some things just don't turn out to be what we think they are. Ask Chaviva Anything! Go on, Ask Already! A few people have requested it, and I'm ready to offer it. Consider it a new series of sorts! Now, I've had a FormSpring.com account for a while, but it became hugely problematic because question lengths were limited and half the time I had no clue what the asker was asking. So I've been exploring other options, so that you, the reader, can ask me anything anonymously without a word limit, and there isn't much out there. So I went with a Google Form, which hopefully will allow you to be anonymous, but give you enough space to write whatever you want! Just click the Ask Chaviva Anything! image above and you'll be taken to the form. Note: Just because you ask it doesn't mean I will answer it publicly here on the blog. Sometimes people want to ask controversial questions to get a rise out of me, and as you all know -- I'm open to discussing just about anything. But if you're out to push my buttons, go bother another blogger! I can suggest some if you're interested. I spent a Shabbat in Omaha, Nebraska, recently and really enjoyed my time. If you ever wondered what the community there is like, read on. Was I asked to write this? No. I did it because I think it's a community worth looking at if you're considering a move out of the city life or the typical NJ/NY experience. Also: Nebraska's unemployment is the second-lowest in the nation and Warren Buffett lives there, so ... that's awesome, right? Do you even know where Omaha is? Most people know Omaha and only Omaha when I mention that I'm from Nebraska. We landed in Nebraska in 1996 and I left there after graduating college in 2006, but there are moments of longing for the simple, easy life that it provides. Luckily, Denver gives that same kind of chill living, almost to a second degree. My only pre-recent experience with the Omaha Jewish community: a Shabbat visit to the Chabad there where they let me light Shabbat candles despite not being converted yet (which made me feel awesome and special and Jewish) and Passover at the big Conservative synagogue there. Both experiences I had with the University of Nebraska-Lincoln Hillel as we attempted to broaden our Jewish life in Lincoln. So when I was planning my most-of-the-way-cross-country trip, I knew that I needed to stop somewhere for Shabbat, and my options were Chicago, Des Moines, and Omaha, and because I was trying to stay on I-80 for the trek, I opted for Omaha because, well, it's my home state and I'd read in the OU magazine once that the community there was booming with young adults and a happenin' Jewish experience. I mean, they had a kosher bagel shop that burned down and was immediately rebuilt because of its importance to the community. I arrived just in time to my hosts' house to find out there was another Shabbat guest who currently is United States trotting (her story is fascinating), and at dinner discovered there was another stopperby on his way to Arizona. It was an impromptu Shabbaton, and we were all welcomed with the openest of arms by the rabbi and community. I really enjoyed the rabbi's d'rash, if only because for the first time in a long time, I watched an Orthodox rabbi interact with his audience! He asked questions, took answers, and made it more of an interactive learning experience then a soapbox pulpit presentation, which I really enjoyed. Next time I'll have to study the parsha to make sure I'm prepared for the Q&A. The community is diverse -- black hats to women without covering -- but it seems that everyone jibes well with one another, and that's the sign of a very powerful dynamic. And rumor has it that the eruv is going up soon, which will be the first time there's been one in Omaha ever! As the community grows, so too will its infrastructure. I have no doubt in my mind that with Rabbi Gross's leadership the community will be rocking out plenty of Jewish amenities in the future that will make Omaha a more tantalizing location. But if you want out of the NY/NJ scene and want to buy a house for what you'll get a shoebox apartment in the City? Then consider Omaha. A community can only grow and become awesome if people go there. Believe me, if I weren't in Denver right now, I might very well be in Omaha. My friends are there, the congregation is growing, the amount of children running around is enough to put a smile on your face, and there's a bagel joint. What more could you ask for? PS: Check out the rabbi's blog here. So I know you're all wondering: What gives on the hair-uncovering, Chavi? 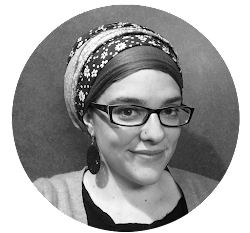 My most-read posts on this blog are in the vein of hair-covering and mikvah and all things involving shomer negiah, so it must seem weird that I uncovered when we all know that even divorced women are supposed to continue covering their hair, right? [Rav Feinstein] is concerned for the divorcée who needs to get on with her life. In one text, he gives a divorced woman permission to uncover her hair for dating purposes (IM EH 4:32.4). The young woman wants to be able to meet men for matrimonial purposes. She is afraid that a head covering will automatically indicate that she is currently married. Rabbi Feinstein is persuaded that her motive is legitimate and so allows her to remove her head covering. But, he warns, there are conditions. She must inform the man as soon as possible that she is divorced. He will not allow her to mislead a man just to dispel an incorrect first impression so that she might eventually marry. The rabbi, impressed with my citation of Rav Feinstein, said, "You're young, you have no kids, you're relocating to a new community, and you want to remarry, yes?" I responded yes to all and he advised to uncover as necessary. So here I am, uncovering my hair. It took me a few days, until that following Sunday, actually. After having hacked my hair off a few times during September, I was in need of a serious shape-up haircut. I pulled into Lincoln, Nebraska, checked into my hotel, and went to get a haircut. When I got up that day, I showered and debated whether to cover on the way to the hair-cutting place, but just grabbed a hat and shoved it in my purse -- just in case it didn't feel right. I walked out into the cool Nebraska morning, sun beating down on my freed tresses, and for a split second I felt a freedom, a release, like I was reclaiming my independence, my personality, my happiness. But it was fleeting, as all things are. I went to the cuttery, showed a picture of my hair from before I got married, and said, "Can we do this, please?" After she was done, I felt that feeling of freedom again. Like, I'm back to the old me! Huzzah! But again, fleeting. I went home to see my family for the first time since May, and I think they were happy to see the hair open and free -- I'm not sure they ever got the whole hair-covering thing to begin with. I toyed with grabbing the hat from my purse and covering up, just to feel a little bit like the married me again, but realized that just as mucha as I couldn't go back to my old haircut, I couldn't go back to covered, married me. Who am I? Maybe I just need a new 'do. It's funny how much our hair controls our feelings and who we are. It feels horribly wrong, too. It feels shallow and vain. So I wake up every day and look in the mirror and let out a huge, heaving sigh because I have to do something with this hair that no longer expresses who I am but that I have anyway. I want to grow it out, to get a cute bob or something, like my dream sheitel, but that's going to take time, and growing hair out when it's been short is a huge pain in the tuches. Or maybe I won't grow it. Maybe I'll give up and when winter rolls around go back to my most favorite knit hats that I sported all winter last year, when I was married. I do know several women who were uncovering for months only to start covering again after realizing the same thing I did. G-d willing, I'll get married in the right time and get back to hair covering, a place that I feel is home now. Who woulda thunk it, eh? Hello blog readers! I am super, incredibly happy to introduce to you all a new feature of guest posts from my very dear friend Elisha. I met Elisha when I was in Connecticut, and I stayed by their family for so very many Shabbatot and chagim during my time there. They comforted and guided me through the Orthodox conversion process, and I count the Rosensweig family as among my most respected and cherished friends -- ever! So I hope you read his posts and enjoy them. He always provided insight into things that I thought I understood or things that I didn't have a clue about. He is uniquely special in this way. I also have to say this is a great response to a recent d'rash I heard at shul last week. Some will definitely appreciate this! Enjoy and comment abundantly! First of all, I’d like to thank Chaviva for allowing me to use this stage to share with you all my thoughts. Since this is my first blog post here, let me begin with a short and very limited bio: Elisha Rosensweig, born and bred in Israel, living with my wife and three (naturally – perfect) kids. I’m at the very end of a PhD in Computer Science, and I’m an alumni of Yeshiva Har Etzion (a.k.a. “the Gush”). Oh, and about that – I’m Modern Orthodox, and this is important because you might find me relating to “Judaism” in this and future guest posts, and although I will try to state this explicitly, I’m always referring to Orthodox Judaism. No disrespect intended to all you readers out there who do not agree with Orthodoxy – this is a habit I have from growing up in Israel, and anyway, I think that most of what I’ll be sharing with you, although inspired by Modern Orthodoxy, indeed is applicable to Judaism in general. But enough about me. Today, I would like us to consider together the interaction of modern technology with Judaism. Now, just to be clear, you’re not about to hear about a new “App” that makes your Jewish life all the more [fill in the blank] or a website that takes care of all your [more blank fillings here]. Rather, I want to talk about how Judaism, at its very core, supplies us with a sort of immune system that resists some of the effects technology increasingly has on the general public. The most classic example that people give for this is, of course, Shabbat/Shabbos/Sabbath. Many have already remarked that the strict restrictions on usage of computers and smartphones on Shabbat force those who observe the day to disconnect from their electronic devices once a week and reconnect with their family and friends. This has inspired a well-named “disconnect to reconnect” movement, which promotes the “Sabbath Manifesto” – a Shabbat-inspired pledge to make room for our family in this technology-ridden world. However, what people seem to miss is that this is not just a coincidence, a result of an ancient religion clashing with modernity, but actually just one expression of something deeply ingrained in Judaism. Let’s go deeper then, shall we? The movie is obviously science fiction, and as a Computer Science person I can tell you that the technology we have today cannot yet reach the level of sophistication presented in the movie. However, this film did reflect a growing trend of detachment from reality in certain circles, as well as the idealization of such detachment. Examples abound, so I’ll just mention one that stands out for me – Japanese weddings between humans and their favorite online virtual avatars. The willingness of people to ignore their physical limitations and find “love” within the boundless virtual realm of the Internet is both astounding and, to me at least, very disturbing. Sitting there in the movie theater, watching “Surrogates” with some friends, one thought kept on coming back to me: an observant Jew could never reach this extreme. Your surrogate could never go to minyan for you, could never put on tefilin for you, could never hear shofar or megila in your stead, eat matzah (or, better yet, maror…) – the list goes on and on. What we are seeing here is that Judaism demands from a person to be directly involved in the mitzvos he or she performs, in the most basic physical sense. In other words, it demands of you to be grounded in the physical world. 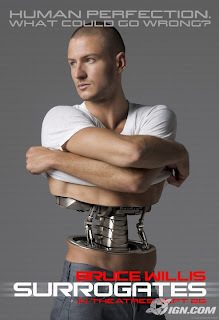 And the physical world does not stop only at having your body involved. Jewish law also ties us in to the fourth dimension of our existence – time – very strongly. Consider those people who have played World of Warcraft for days on end without taking almost any breaks, causing them at times to actually die. Judaism would not allow you to get sucked into a virtual world for too long before it demanded that you give not only your time but your attention to something important in the real world. Praying three times a day forces you to be aware of the daily cycle of the sun, Shabbat sets a weekly cycle, and so on and so forth. Being grounded in this manner can feel limiting at times for those of us who are deeply involved in all things Internet-ish, and who like to redesign their Second Life avatar every other Tuesday. But interrupting this sinking into a virtual existence is a very important feature of Judaism that promotes a healthy life in the real world. What I find to be fascinating about this fact – that Judaism contains the tools to limit our detachment from the reality that surrounds us – is how this feature of Judaism only became evident and meaningful over the past decade or two. More than a hundred years ago, detachment from reality was not even an option for anyone on the planet, and nobody thought in the terms used above. Thus we can see how G-d, through the Torah, is able to address new challenges that arise without changing a single letter of the books he gave us thousands of years ago. Even if you are not Orthodox, you gotta admit – it’s cool, right? 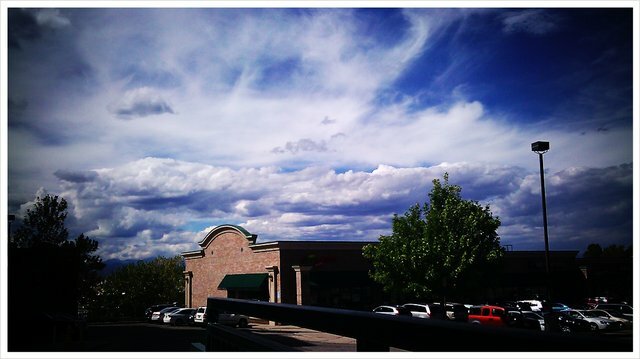 Clouds rolling in over the mountains in Centennial, Colorado. Something funny happens when you get divorced. At least it did to me. While visiting home in Lincoln, Nebraska, I was tempted with the urge to throw it all away. To go out to my favorite treif (not kosher) restaurant. To just throw all caution and devotion the wind and give it all up. But it was fleeting. Incredibly fleeting. My dad lamented that he couldn't take me out to eat, and I managed to find some kosher meat at the local Trader Joe's and made some meatballs and brussels sprouts. I was content. I stood my ground. I stood up to the inclination to give everything up. And then something else funny happened. I joined Frumster.com, a frum Jewish dating site. Yes, I've only been divorced for a few weeks, but something in me said "find a husband already! You're not a spring chicken! You want a family! Find a super frum guy to guide you! You're a converted divorcee, you're going to have to work hard to find a husband!" I found myself looking only at the men in black hats and beards -- there's something dashing about a Lubavitcher or devotee of Hassidus. Something that says, "Wholly devoted to HaShem, wife, family, Torah, life." It's too soon. The funny thing that happens when your life stops and starts again in a new place with a new haircut and new people is that you're tempted -- in good ways and bad. Throwing it all away, taking up the uber-frum torch. And every day is a challenge. Every day I wake up after a sleepless night and think to myself "Who am I? What has become of me? What does HaShem want from me?" Clearly, I guess, I'm not ready. I'm not ready to move on, but I'm tired of being here. I mourned my marriage for six or nine months, give or take, and the fatigue of feeling alone has worn me down. I have already made many good friends here in Denver, and I absolutely adore the community. I love being able to see the mountains no matter where I am or where I'm going. It's like witnessing the fingerprint of HaShem every moment of every day. And the uncovering of my hair? Well, I'll admit to you all that it isn't what it's cracked up to be. Maybe it's just that the girl who cut it didn't do a good job or something, but I feel like I'm trying to step back and be someone I'm not. I'm trying to go backward when all I can do is move forward. A marriage changes you, relationships change you. And yes, it changes your hair and how you feel about it, too. I chose to uncover because according to Rav Moshe Feinstein, there is a leniency for young women without children, especially when they relocate to a new community. I asked one of the rabbis on the beth din of the get (divorce), and he advised me to uncover, so I thought, score! Uncovering! Hair liberation! But after you've covered, it's just not the same. As much as I kvetched about hair covering, I miss the ease of throwing on a hat. My head is plenty cooler on a hot day, but I don't know that that alone is worth it. I'm sure I'll write plenty more about my hair covering, and I'll give you the various sources for uncovering after divorce -- stay tuned. So where am I? I have no idea. I really want to find a nine-to-five gig so that I can have a reason to wake up in the morning and do something with myself. Right now I feel a little lost. I need to get back into parshah study and learning, because I know that there is something that HaShem wants and needs of me, I just don't know what it is. I guess we're all waiting for our sign.